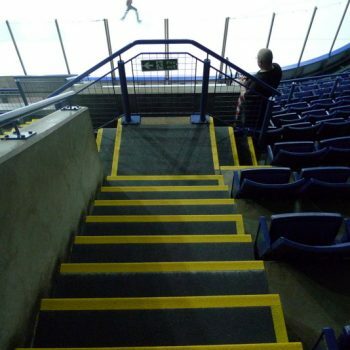 DDA approved anti-slip stair coverings for the 10k seat arena. 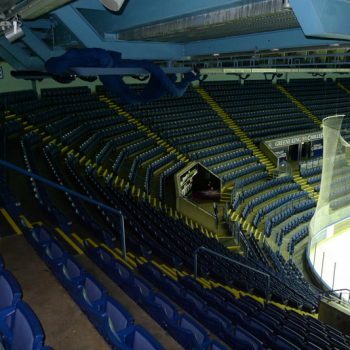 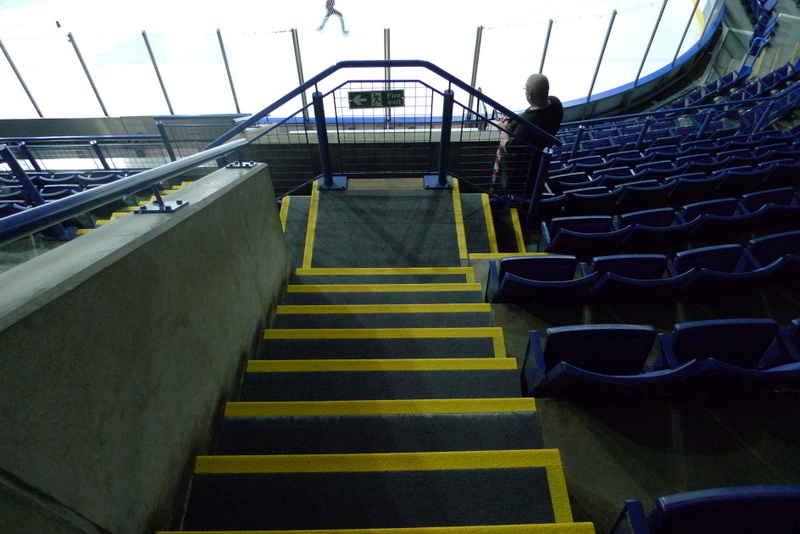 We were approached by the management of the Motorpoint Arena, 10,000 seat ice arena and concert venue for advice on how to provide a best value, durable Anti-slip solution for the high traffic concrete access steps throughout the arena. 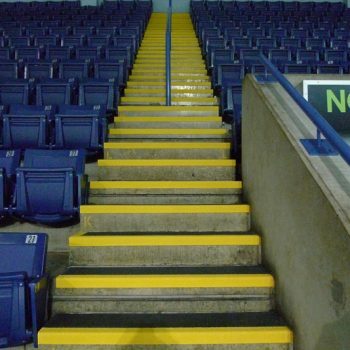 Following discussions, samples of Equality Act (DDA) compliant GRP Fibreglass Stair Nosings with a back-fill of low profile anti-slip sheeting were fitted using adhesives. 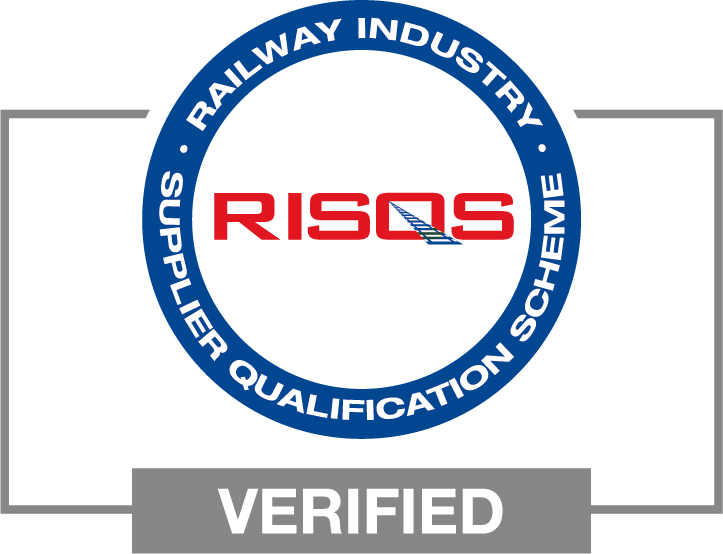 After a trial period in use, we were asked to return and take measurements for the whole site. 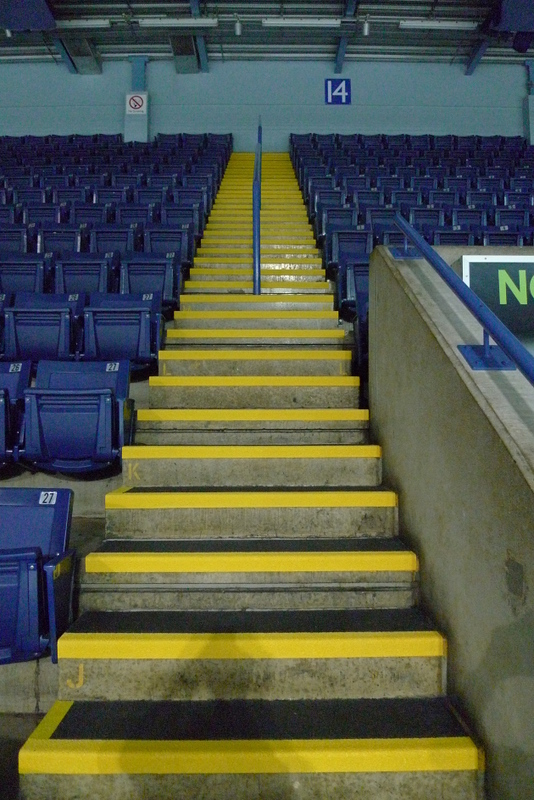 Installation for the entire site was carried out by ourselves. 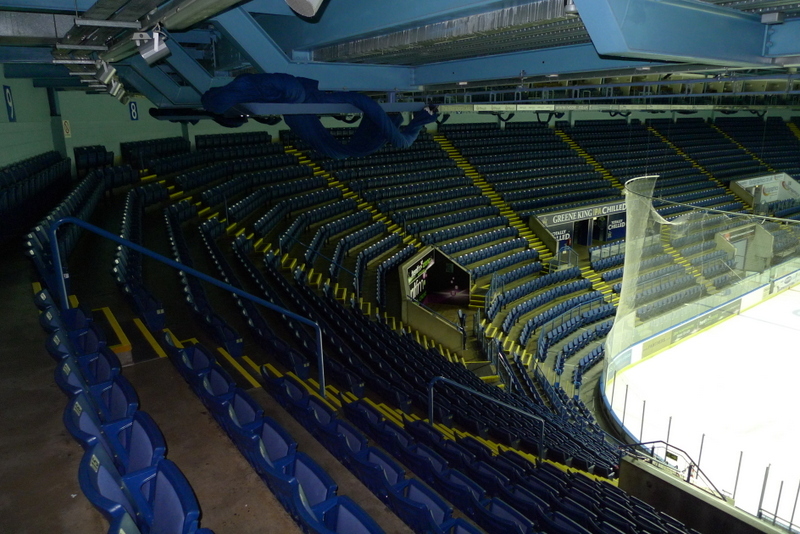 As all the covers were pre-measured and fabricated off-site, the work was completed rapidly with no disruption to the venue’s schedule.